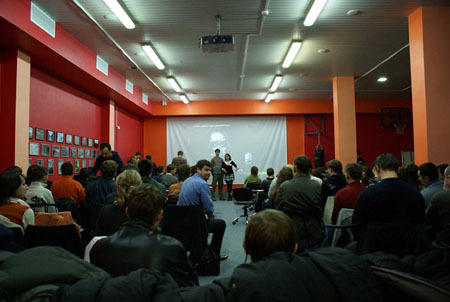 On 25-26 of October 2008 the first Flash GAMM conference took place in Kiev, Ukraine. It was the first conference of flash game development marketing and sales not only in Ukraine or in Eastern Europe, though worldwide. The event gathered in free and easy atmosphere the developers, designers and investors of the game projects, with exchange of contacts, ideas, plans and positive vibrations. The place of the conference - G-club of the GlobalLogiс company highly favored these easiness. Many attendees during the breaks played billiard, aerohockey, table-football, and even street ball. But the main value was undoubtedly proffesiional contact. The event proved to be much more relevant, than organizers supposed to be. More than 120 people from 7 countries visited the conference. 11 lectures related to the different areas of the Flash-game development were held – from design and coding to the sales, marketing and investors negotiations practice (some investors were also there). First day of Flash GAMM 2008 was full of emotions and events. New people and new acquaintances, the presence of such well-known persons in flash-games business as Ada Chen from Mochimedia and Joel Breton from Addicting Games, a lot of new useful information in lectures – all these things created the atmosphere of inspiration. Yet another guest of the conference was the head of Adobe office in Ukraine Danil Kluchnikov, who used this event as the chance to meet the developers closer. First day finished with afterparty, with making new business contacts, discussions of the day’s lectures and the future of the Flash-games industry. Some developers used the chance to spend the time with investors thus intensify the concrete business contacts, which were made during the day. 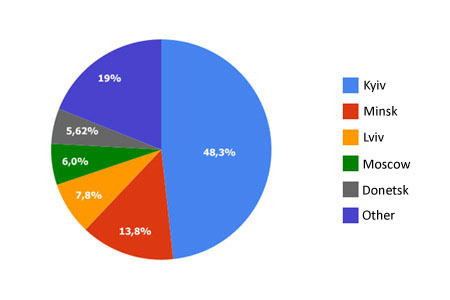 The second day finished with the drawing of a lottery with the main prize – the license for Alternativa3D engine. To help fortune face those who are worthy special attention the organizers asked the questions based on the lectures, held in two past days and it worked! Flash GAMM 2008 gave a lot of pleasure to its attendees. Here must be mentioned, that the first Flash GAMM conference was made because the organizers wanted to visit any Flash-game conference, but didn’t find any nor in former USSR countries or in Europe. And they decided to make such a conference themselves. The success of the first Flash GAMM conference obeys its organizers to follow the established level and to make the next conferences more exciting and useful for its attendees. And soon the next conferences are going to be. The organizers plan to hold Flash GAMM twice a year: in autumn in Kiev and in spring in Moscow. Will there be enough strength and enthusiasm? Yes, for sure, the time and the interest from the Flash communities will show the result. 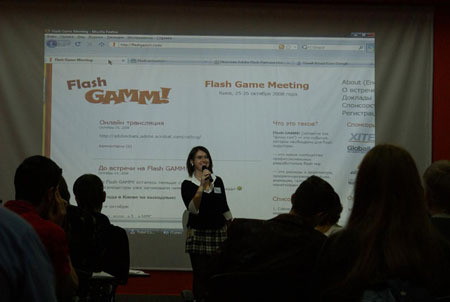 Flash GAMM, or the Flash Game Meeting is a conference of professional developers of flash games for the experience exchange the development of this promising industry. It is an important event which unites different Flash-gaming industry discussions: the development of Flash-games, marketing, search for investors and sponsors, animation and graphics etc. 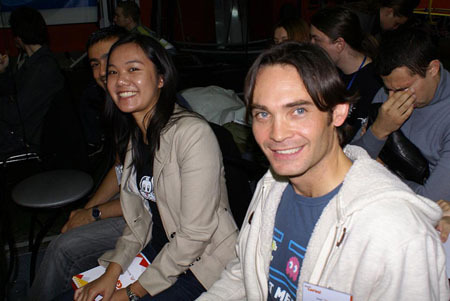 The next Flash GAMM will be on May, 14th 2009 in Moscow. See you there! Flash GAMM! Flash GAMM! - is an event that flash industry need. 1. 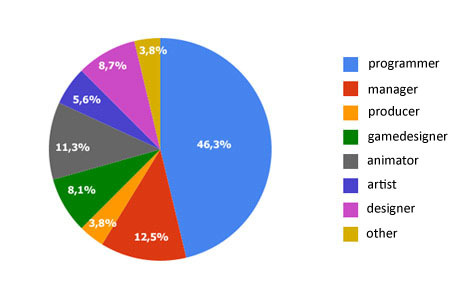 The work scheme of the individual flash games developer. 2. Using flash games in advertising. 4. Using flash games in advertising. 5. Architecture Platform for Received flash. 6. The scheme of the individual developer flash games. 7. Search for money under the browser game. 9. How to make a game using AlternativaPlatform.